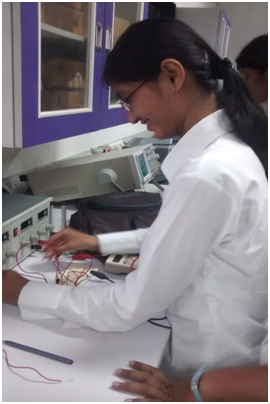 Electronics Technocrats Association(ETA) aims at organizing social and professional activities by the students. 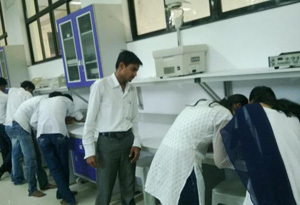 This helps in developing the technical and managerial skill of the students.. We organize social activities, expert lecture by guest speakers, various competitions like circuit implementation competition, poster competition, quiz competition, essay competition, speech competition etc. on different occasions. These activities also create a team spirit and co-operation amongst the members of the Association and develop leadership qualities and good communication amongst the members of the Association. 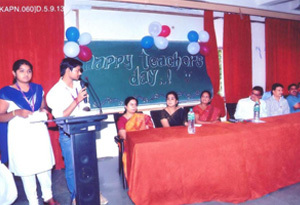 ETA Club celebrated Teacher’s day on 5thSeptember 2015.on this occasion we organized a formal program for all teachers .In that Program we arranged some games for teachers, we also give them the greetings which are made by students itself for their favorite teachers, some of the students of final year conducted the lectures for whole day. 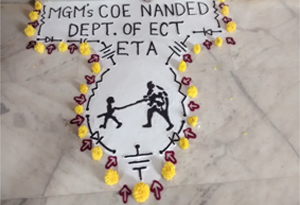 ETA Club organized Gandhi jayanti program on 2nd October 2015.A formal formation of ETA Club 2015-2016has been done by vice principal of MGM’S COE NANDED. 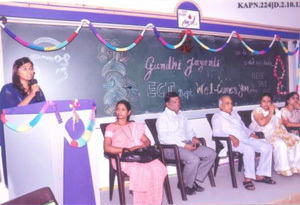 We also organized a poster presentation on the people who follow the rules of Gandhiji in their life at the entrance, and a formal program in which Apurva Kulkarni and Deepak Pandit performed favorite songs of Gandhiji, also students gave brief speech on the life of Gandhiji, at the end of program all new formed ETA members, Kude sir, Sarsar sir sing a song “VANDE MATRAM”. 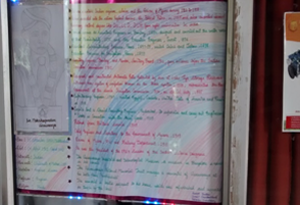 ETA celebrated Dr.A.P.J.AbdulKalamJayanti on 15 October 2015.on this occasion we visited SandhiNiketan Child Remand House Nanded, and we played various games with children’s and take many competitions for them such as painting, speech and gave prizes to them. 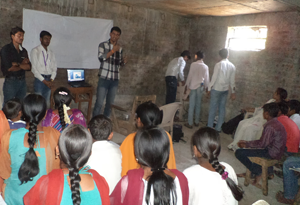 We guided them for their exams and show’s various motivational videos for their bright future. 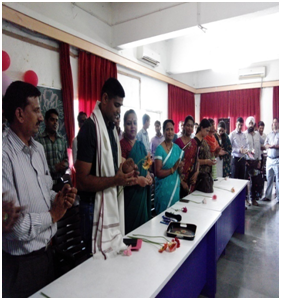 Details: To commemorate the birthday of Dr. Sarvapalli Radhakrishnan, Teacher’s Day was celebrated with great enthusiasm in the Institute premises. 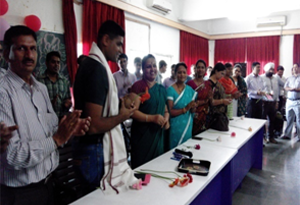 As a prelude to the celebration of the Teacher’s Day, a Lieutenant Commander Ravindra Kale BE (ECT) alumnus of our college gives Career Guidance for students to make life in Navy. 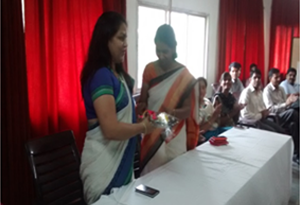 Respected Director Madam addressed the faculty members and encouraged them to continue the service to the society with greater zeal and dedication. 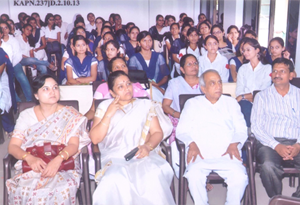 The program started at 2:00 pm with welcoming the dignitaries. 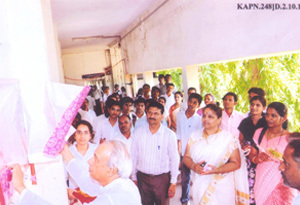 The speech on the life of Dr. S. Radhakrishnan was given by students. Details: Every year, 15 September is celebrated as Engineer's Dayin India in memory of Sir Mokshagundam Visvesvaraya. 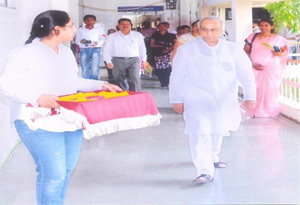 He is held in high regard as a pre-eminent engineer of India. He was the chief designer of the flood protection system for the city of Hyderabad in Telangana, as well as the chief engineer responsible for the construction of the Krishna Raja Sagara dam in Mandya. 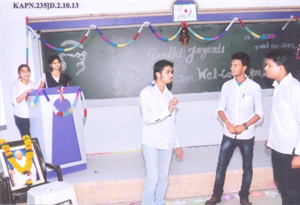 The speech on the life of Sir Mokshagundam Visvesvaraya was given by students. 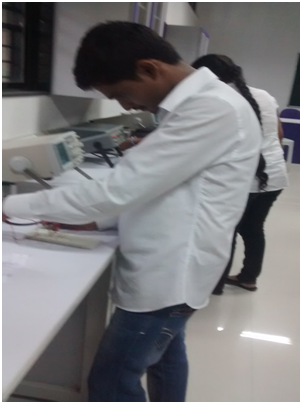 On this occasion following different Technical event are organized. “Be the Change that you wish to see in the world.” – Mahatma Gandhi. 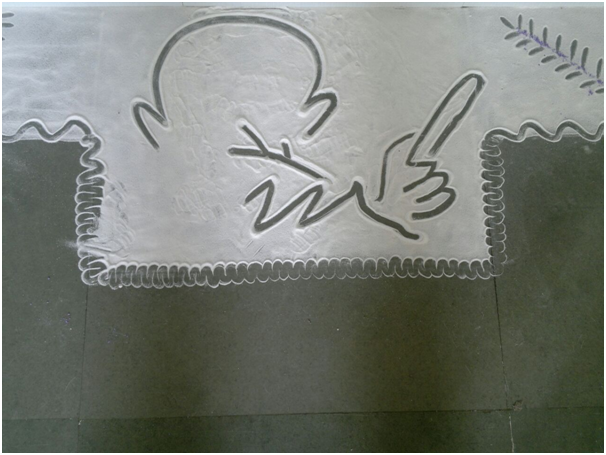 Gandhi Jayanti is celebrated yearly on 2 October. Gandhi Jayanti is marked by prayer services and tributes all over India, especially at Raj Ghat, Gandhi's memorial in New Delhiwhere he was cremated. Popular activities include prayer meetings, commemorative ceremonies in different cities by colleges, local government institutions and socio-political institutions. 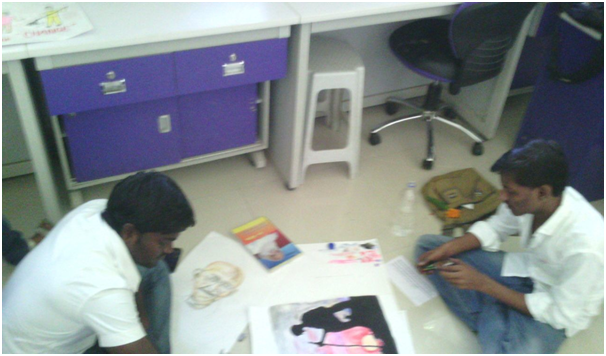 Painting and essay competitions are conducted and best awards are granted for projects in schools and the community on themes of glorifying peace, non-violence and Gandhi's effort in Indian Freedom Struggle. Gandhi's favourite bhajan (Hindu devotional song), Raghupathi Raghava Rajaram, is usually sung in his memory. 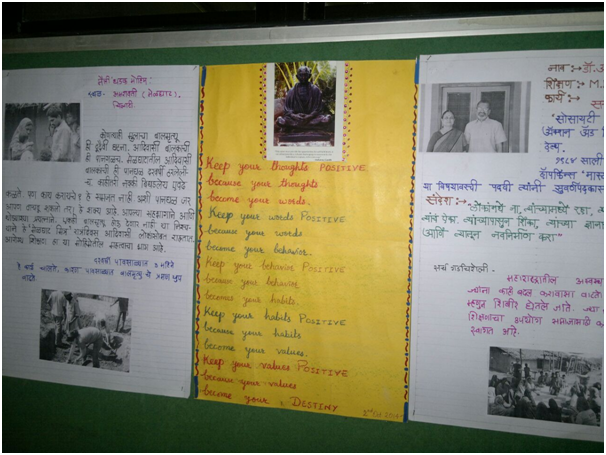 Three students took the audience through three stages of Gandhi’s life, through the use of presentations. The first stage was focused on Gandhi’s childhood, the second focused on Gandhi’s life in South Africa, as well as his civil rights movement and the last stage focused on Gandhi’s life in India and his struggle for independence. 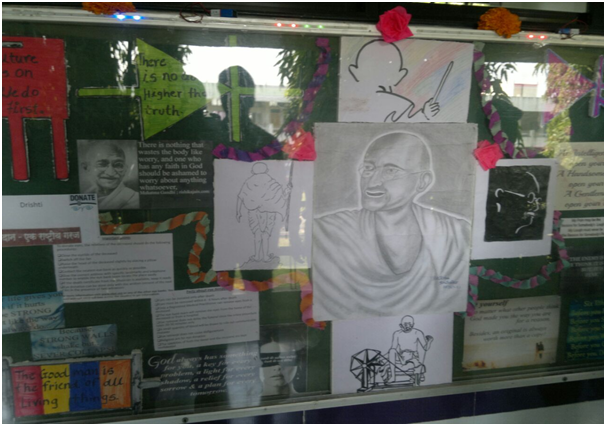 This was followed by a collection of interviews that was put together, highlighting a few of our students’ perspectives on Gandhi, as a person, and everything he did for this nation. 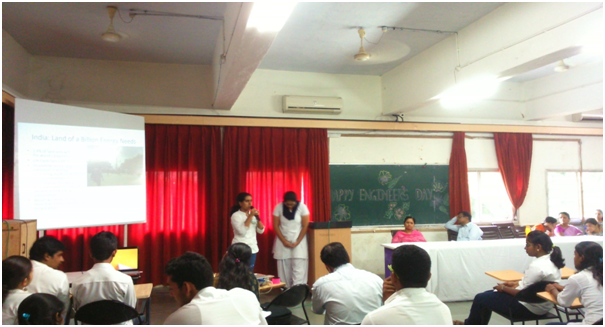 The assembly was finally concluded with a message by our Director, Dr Mrs G. S. Lathkar. 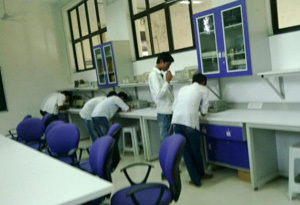 As per the culture of our College, every academic year Department of Electronics & Telecommunication organizes technical fest for aspirants assembling with very high competitive spirit to participant and with the strong determination. Details: “We were all children once. And we all share the desire for the well-being of our children, which has always been and will continue to be the most universally cherished aspiration of humankind”. On November 14th children’s day has been celebrated as “Children’s Day” in India. India’s first Prime Minister Pandit Jawaharlal Nehru was born on 14th November as he likes the children, this day is being celebrated as children’s day. It is not just a day to let the future generation have its say. It is a day to remember a leader who, in his quiet but determined way laid the foundation to convert a nascent nation into a world power. Universal children’s day take place annually on November 20. first proclaimed by the united Nations General Assembly in 1954, it was established to encourage all countries to institute a day, firstly to promote mutual exchange and understanding among children and secondly to initiate action to benefit and promote the welfare of the world’s children. Students of our Department had visited Orphanage on 14th Nov. 2014 (Children’s day). They have demonstrated their affection for the needy children. May their Nobel act inspire others in this endeavour of serving humanity. 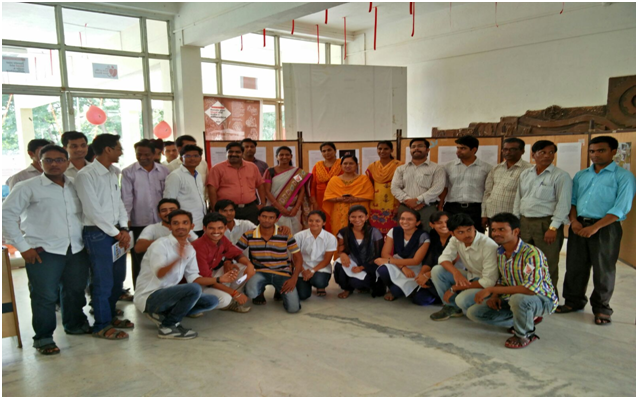 We are proud of these students for their philanthropic gesture. 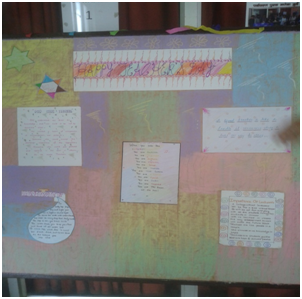 Students visited to the following schools. 1. 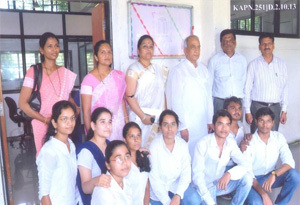 Shree Ram Pratap Malpani School, Nanded. 2. Suman Balgriha girls, Hunman ghad, Nanded. 3. 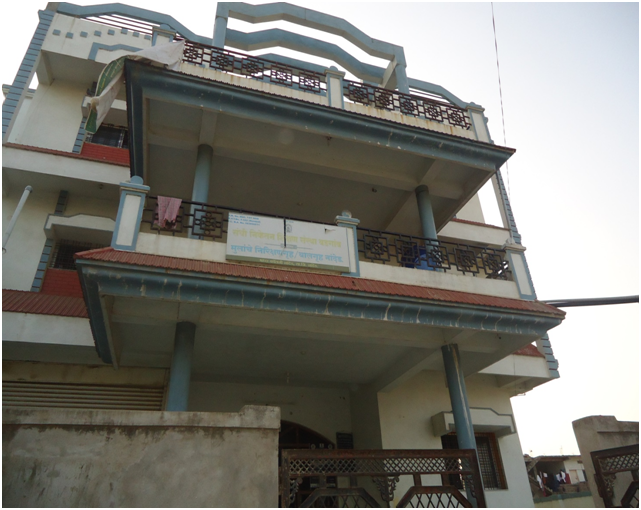 Orphanage at Purna road, Nanded. Prof & Head of Dept. i) Nobel prizes in Physic and Chemistry. a professor at Meijo University, Nagoya. 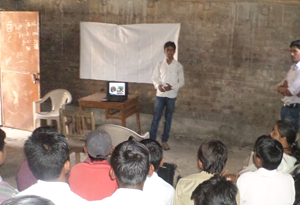 This is the regular activity by ETA for the awareness of technology in rural area students. In this a group of nine ETA members visited Bharat Mata High School, Saregaon,Tq. Mudkhed, Dist. Nanded on 5th April 2014. 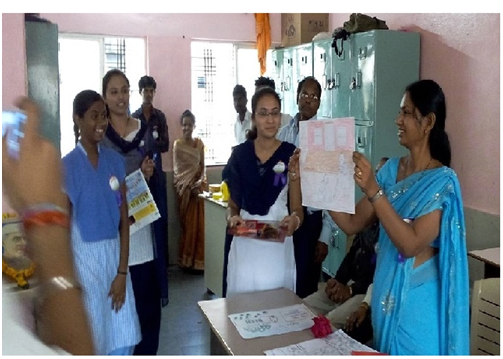 In this program the students of school guided by ETA members about Automation, Internet, Mobile & Satellite communication, computer peripherals & career guidance etc. 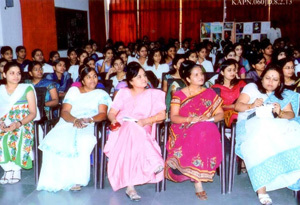 This program is to aware students about recent trends in technology. 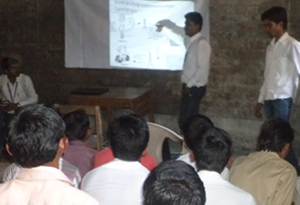 An expert lecture on Telecommunication Networks by Mr. F. H. Qureshi on 06/02/2014. 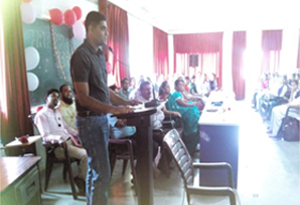 Mr. Qureshi sir guided all the students about telecommunication network with optical fiber. The number of services can be served with the help of single optical fiber & guided about recent telecommunication network architectures in Saudi Arabia. 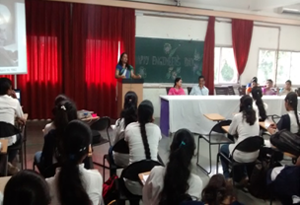 International Women Day was celebrated by girls Various events on “ women Empowerment were organized in presence of Dr. G.S. 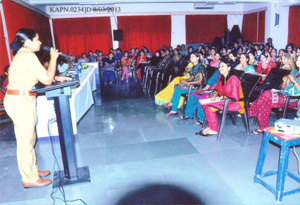 Lathkar, Director, MGMCEN & Chief Guest of the Program was Ms. Nirmala Devi, Additional Superintendent Police, Nanded date 08 March 2013. 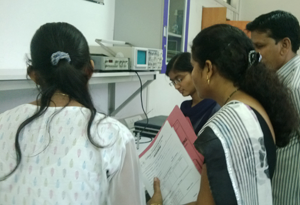 The circuit implementation is organized for improving the practical skills of the students on 22nd oct. 2013 in the presence of Mrs. M. R. Banwaskar as judge. 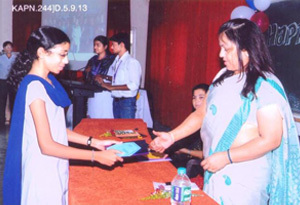 The aptitude test was arranged on 23rd oct. 2013 to improve attitude of students.